If your child is one of the millions of college freshmen headed off to school, your August might be packed with shopping, gathering textbooks, and packing up entire rooms. And while picking out the perfect dorm decor might seem important, don’t neglect the deeper subjects. Now is the time to talk to your child about personal finance. As a parent, you have the opportunity and obligation to prep your freshman on budgeting and smart spending strategies before he or she hits campus. While college students might roll their eyes at the idea of making a budget, knowing how to manage money is vital to the college experience. Whether your child is paying his or her own way, receiving your help, using financial aid, or a little of all three, college is an expensive experience that becomes pricier with poor spending practices. By passing on a few words of wisdom, you can give your freshman the tools he or she needs to start college on the right financial foot. Carefree high school students frequently spend whatever is in their bank account, living off their parents’ generosity or the spoils of a part-time job. Once that student moves away to college, a budget becomes crucial. Whether or not your child has been exposed to a budget, it’s important that you sit down together to look at finances. Map out his or her various streams of income, including money you’ll provide, income from a job, and money coming from student loans, grants, and other types of financial aid. Then, show your college freshman how to categorize expenses so he or she knows where it’s all going. While you can’t force your student to stick to a budget, you can feel confident he or she knows how to use one and has a clear picture of what is and isn’t affordable. As stated, the trick with any budget is sticking to it. Once you and your child have gone over the budget, take some time to talk about how to make smart money choices that fall within the budget. For instance, help him or her navigate free or low-cost social activities, such as outdoor concerts, city-sponsored events, or school-sponsored adventure trips. You know your child better than anyone, so if he or she loves spending money on cappuccinos or the latest designer clothes, take some time to talk about buying clothes from discount retailers or brewing joe at home. While it’s tempting take over your child’s finances, let him or her lead – after all, it’s time for your college student to manage a budget. You can check in to make sure that he or she is on track, but let your freshman remain in charge. College students aren’t likely to sit down and go over finances in an Excel spreadsheet – especially when there are better options available. Instead, set your student up with an online service or smartphone app that makes money management easy and convenient. After all, that smartphone is practically glued to his or her hand anyway. Some apps, such as Mint, make money management easier for a busy or forgetful college student. Mint enables users to upload bank account and expense information so he or she can manage all of his or her accounts in one place. The app makes budgeting a little more accessible for a college coed who is busy and on-the-go. This ensures fewer missed payments and penalties, as well as easy access to account balances. In addition to money management apps, make sure you also take the time to set your student up with online banking services so he or she can transfer money online or use mobile deposit. There are several ways to minimize student debt. Make sure you cover all the bases before sending your freshman off to school. Spend on the Right Things. Naturally, college students shouldn’t use financial aid to fund pizza night in their dorm rooms, but temptation is a powerful thing. Take the time to impress the importance of using debt wisely. Even if loans look like “free money” now, they do come back to bite you. It’s your job as a parent to define what is and isn’t okay for your child to use loan money for. Tuition, books, housing, and maybe food plans – not social outings, new clothes, or pitching in for a party keg. Borrow Only What’s Required. Not every student heads off to school with a fully-funded college trust. If your child needs to take out student loans, remind him or her that the amount borrowed should be commensurate with the type of salary available once a degree is obtained. Even if your student does choose to borrow money for school, it should be for school. Taking out more cash to fund an extravagant campus lifestyle might seem important now, but could be a serious problem later. Freshmen should start a pattern of living frugally now so that they’re not paying interest on things like a bigger dorm room or fraternity fees later. Fund Extras with a Job. If your coed wants to fund a social life, it should be done with a part-time job, rather than student loans. Work-study positions usually offer the flexibility a student needs with the convenience of location, while off-campus positions frequently pay more. Either way, teach your child to have a “pay now” policy for nonessential purchases so that he or she doesn’t really pay for them later. Funnel Extra Earnings to Loan Payments. Try to add extra loan payments into your child’s budget by using funds from a part-time job or from monetary gifts to help pay down student debt. While loans technically aren’t due until after graduation, paying them off while in school can help your student save serious money when it comes to long-term interest. 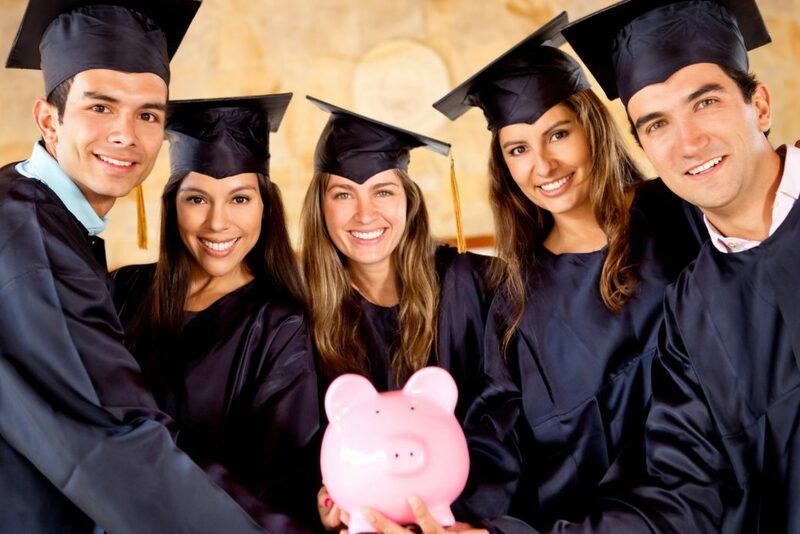 College students should become masters at exploring the ways their educational status can save them money. Vendors, local venues, restaurants, and services near college campuses often offer student discounts that could save your freshman big money during the first year. What’s more, by looking for discounts, students learn the value of hunting down great deals. If going to college is like setting sail in a vast ocean, then credit card companies are the sharks. They specifically prey on new and inexperienced freshmen, banking on the notion that freshmen are strapped for cash and excited about the prospect of “easy” money. They also expect freshmen to be careless with credit cards, racking up late fees and high interest payments. Credit card companies often lure students in with college-centric offers, such as the promise of free concert tickets or free college swag. Make a rule with your freshman: If he or she wants a credit card, the two of you can choose the best one together. Freshmen should never sign up for a student credit card on a whim. Instead, you can talk about the pros and cons of different cards, set a reasonably low spending limit, and look for cards with points or cash back rewards. Your child may also want to use a debit card while in college. While it sounds foolproof, make sure your student’s bank doesn’t allow a large overdraft. In fact, turn off overdraft protection so your student can only spend what he or she has in the bank and won’t get slammed with overdraft fees. You can prep your child by setting him or her up with a prepaid debit card at home – he or she will soon learn that when the money is gone, it’s gone. One way to help your child curb first-year spending is to propose financial limits for unnecessary items. Setting a spending limit doesn’t necessarily prevent your freshman from making impulse purchases, but it should give him or her pause to assess whether or not the new iPhone is really necessary. By setting a fairly low limit – say, $50 to $100 per month – he or she has some wiggle room without having carte blanche when it comes to spending power. 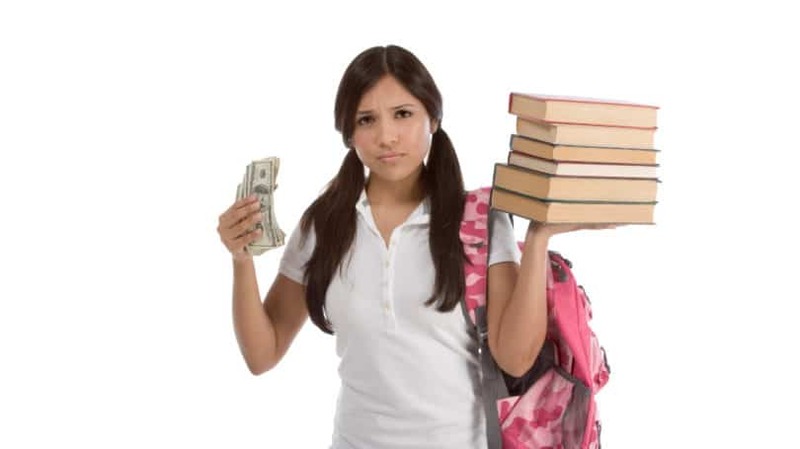 Add the nonessential money into your student’s proposed budget, separate from essential expenses such as gas and food. While you can’t spend your time hanging over your student’s shoulder, making sure he or she is sticking to the plan, you can remind him or her of its importance. If possible, you can also help lighten the load – if you know your student is strapped for cash and you have the means, send a care package with nonperishable food or a prepaid gas card to campus. Ah, the textbook – the budget-breaker of college students everywhere. While it’s true that some professors change and update texts practically every year, the vast majority use the same textbooks year after year. That means your student shouldn’t have to shell out hundreds to shop for books before class. There are lots of ways your student can save money on college textbooks, such as searching for posts on campus bulletins, or shopping at eBay and Amazon. Or, have your child check out websites such as Chegg, where many common textbooks are available for rent. Some schools also offer textbook rental programs, so ask the bookstore and library about the options that are available. Unless it’s absolutely necessary, steer your student away from the campus bookstore, where prices are likely to be the highest. Also, be aware that some professors add “suggested materials” to the book list, many of which may not be necessary for passing the class. Help your child look over his or her syllabus to weed out the necessary texts from the suggested ones. When the school year is done, suggest that your student sell used textbooks to others who need them the following semester. School bookstores, online book retailers, and social media sites are all good places to advertise textbooks for sale. Your student can recoup some of the cash spent on buying books, making it available to pay down student loans, pay off credit card debt, or add to savings for next semester. When it comes to identity theft, college students are some of the hardest hit and the most oblivious to the crime. According to Javelin Strategy and Research, the 18 to 24 demographic has the highest risk for identity theft. Not only that, but the average individual from that demographic took 132 days to detect and report the fraud. Caution your student not to share personal information. Simple things like giving a password to a friend, providing Social Security numbers where unnecessary, or leaving personal documents lying around, can all open your child up to identity theft. To catch theft before it goes too far, students should check bank and credit accounts regularly, reporting any suspicious activity immediately. While identity watch services are available, the monthly fees may not fit into a college student’s budget. Instead, teach your child to pay attention to his or her accounts and suggest he or she order a free yearly credit report from all three of the reporting bureaus through AnnualCreditReport.com. There is, however, an argument for an identity security service such as LifeLock if your student thinks his or her identity has already been compromised. It’s an unfortunate drawback to college life, but if vigilant, it doesn’t need to color your freshman’s first-year college experience. When you send your freshman off to college, you’re not just ushering in a new era for your family, you’re also looking to see whether all the advice and financial training you’ve given your child really pays off. Nobody always makes perfect financial decisions, but if you’ve laid out a solid foundation of training, your child should make it through the first year without making too many financial mistakes. What advice would you give a new student heading to college this fall?